In chapter 60 of Jane Austen’s novel Pride and Prejudice readers are treated to a dissection of Mr. Darcy’s epiphany as to when, how, and at what precise instant he began to fall in love with Elizabeth Bennet. Was Mr. Darcy's love an epiphany or a process? Many critics and scholars speak of ‘epiphany,’ but I will say that love didn’t suddenly hit Mr. Darcy as the revelation that seized St. Paul on the way to Damascus, nor as the instant of enlightenment that descended on the Buddha under the fig tree, or even hearing voices as Augustine and Martin Luther reported to have heard. What Mr. Darcy felt cannot be considered an epiphany, or a sudden flash of understanding, as the narrator shows by means of direct speech in dialogue. To do it otherwise would have less credible to readers, as in matters of the heart one wants to see and hear rather than to be told. "How could you begin?" said she. "I can comprehend your going on charmingly, when you had once made a beginning; but what could set you off in the first place?" "My beauty you had early withstood, and as for my manners -- my behaviour to you was at least always bordering on the uncivil, and I never spoke to you without rather wishing to give you pain than not. Now, be sincere; did you admire me for my impertinence?" "You may as well call it impertinence at once. It was very little less. The fact is that you were sick of civility, of deference, of officious attention. You were disgusted with the women who were always speaking and looking and thinking for your approbation alone. I roused and interested you, because I was so unlike them. Had you not been really amiable, you would have hated me for it; but, in spite of the pains you took to disguise yourself, your feelings were always noble and just; and, in your heart, you thoroughly despised the persons who so assiduously courted you. There — I have saved you the trouble of accounting for it; and really, all things considered, I begin to think it perfectly reasonable. To be sure, you knew no actual good of me — but nobody thinks of that when they fall in love." "Was there no good in your affectionate behaviour to Jane, while she was ill at Netherfield?" "How unlucky that you should have a reasonable answer to give, and that I should be so reasonable as to admit it! But I wonder how long you would have gone on if you had been left to yourself! I wonder when you would have spoken, if I had not asked you! My resolution of thanking you for your kindness to Lydia had certainly great effect. -- Too much, I am afraid; for what becomes of the moral, if our comfort springs from a breach of promise? for I ought not to have mentioned the subject. This will never do." "You need not distress yourself. The moral will be perfectly fair. Lady Catherine's unjustifiable endeavours to separate us were the means of removing all my doubts. I am not indebted for my present happiness to your eager desire of expressing your gratitude. I was not in a humour to wait for any opening of yours. My aunt's intelligence had given me hope, and I was determined at once to know everything." "Lady Catherine has been of infinite use, which ought to make her happy, for she loves to be of use. But tell me, what did you come down to Netherfield for? Was it merely to ride to Longbourn, and be embarrassed? or had you intended any more serious consequence?" "My real purpose was to see you, and to judge, if I could, whether I might ever hope to make you love me. 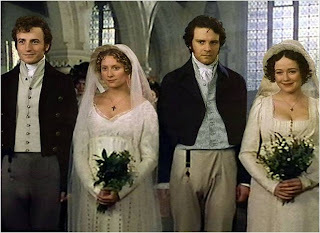 My avowed one, or what I avowed to myself, was to see whether your sister were still partial to Bingley, and, if she were, to make the confession to him which I have since made." What is insightful and helpful in determining when, how, and at what instant a character falls in love, is what the characters themselves say. In the case of Mr. Darcy, he admits uncertainty and imprecision: "I cannot fix on the hour, or the spot, or the look, or the words, which laid the foundation. It is too long ago. I was in the middle before I knew that I had begun." Such admission by Mr. Darcy is plausible and acceptable, for love rather than an epiphany is a long process with no discernible beginning, middle, or even worse end. What one can say is that in the case of Darcy, love —to use Stendhal’s term— crystalized! Comments on "Mr. Darcy's Love for Elizabethy Bennet: Epiphany or Process"